We have a super special treat for you just in time for the holidays! I've banded together with Angie over at My So-Called Chaos, her sponsors, and some other wonderful bloggers and people to offer all of you lucky readers a KitchenaAid Stand Mixer. Do you want to win a KitchenAid Mixer? I thought you might. Angie asked the wonderful people participating in this giveaway with me to share their favorite holiday treats with you. Maybe our answers will inspire you, and if you win, you can make those treats in your brand new kitchen baby. Swoon! 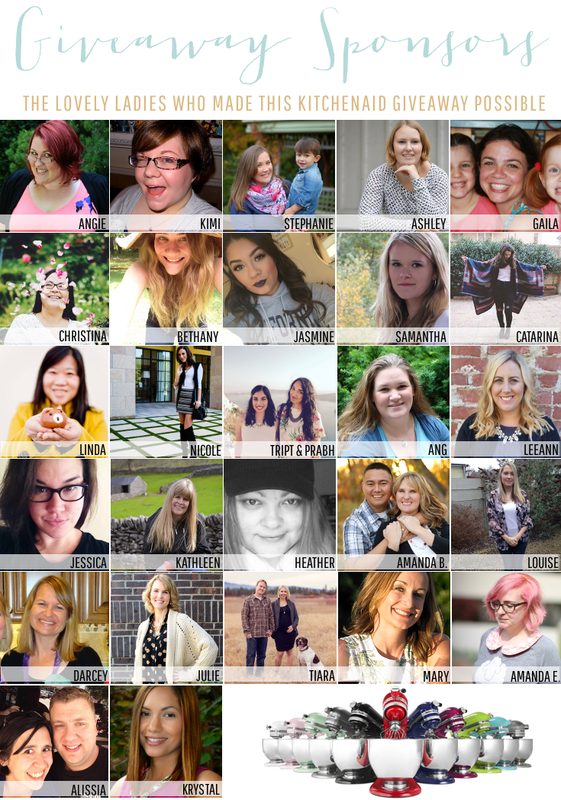 Meet the lovely ladies involved and get a peek at their favorite holiday treats! 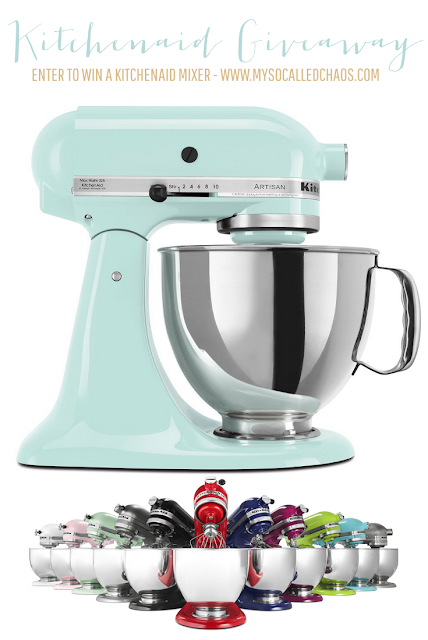 Prize is one KitchenAid Stand Mixer in your choice of color (as long as that color is no more than $300 value currently on Amazon) This giveaway is open Worldwide (international winners will receive $300 Paypal cash instead to purchase from an international site) and ends on 12/8/15 at 12 AM. Entries will be verified and entering below agrees to full terms and conditions within the Rafflecopter widget.